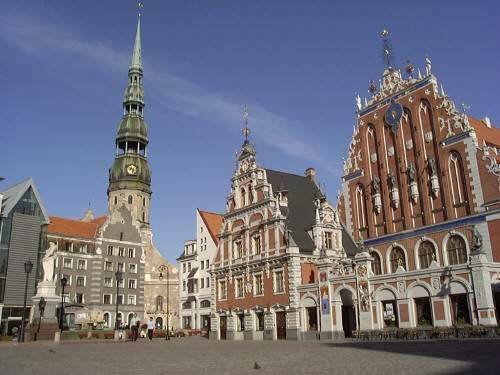 The Baltic region is increasingly becoming a hot tip among travelers. One example is in Riga, also called the Paris of the East. What the city itself and in winter a trip worth making? First of all, there are saunas in every corner, every village even has its own sauna and in cold weather they are an ideal place to stay. But the city is worth a walk through the cold: Here, mixing medieval churches with Stalinist buildings and Art Nouveau buildings - a very interesting mix. Who is the historical side of the city is interested should definitely go into the occupation Museum, whose exhibits provide a powerful insight into the situation in Latvia during the Soviet regime and the Nazi era. More of in Saules to get in culinary at its expense. More of Saules "means more sun," and in fact is the establishment of summer and the operation of a sunny disposition. The vanilla is a cafe, restaurant and sushi bar in one. Here you can also sit well with the laptop and work in peace. The Skyline Bar (Elizabetes 55, Reval Hotel Latvija in the 26th floor) offers a great view of the city, it is best to drink a cocktail here and admire the scenery of the city at night. Cuba, in the Old City has often obscure funk music and Latin music and beyond good long drinks. If you want cheap stay in Riga, you can drop by the Riga Old Town Hostel, but the best time, since it is often booked up quickly. Another alternative is the youth hostel.